[post_ads]Summer television changed forever in 1988, when Shark Week made its Discovery Channel debut. This week it’s back, for its 30th annual edition, with a host of new specials and guest stars like Shaquille O'Neal, Ronda Rousey, Aaron Rodgers, Rob Gronkowski, and Lindsey Vonn. Take a bite out of these 10 facts about . In 2014, former Discovery Channel group president Eileen O'Neill corrected this story, The Week: "It started with a scheduler and the founder of the company, John Hendricks, brainstorming. They started with the premise that sharks are such predatory beasts, and rated well, and thought, 'What if [we] took advantage of the August beach time?'" 2. THE VERY FIRST SHARK WEEK NEARLY DOUBLED DISCOVERY’S RATINGS. Shark Week made its debut on July 17, 1988 with the special Caged in Fear. 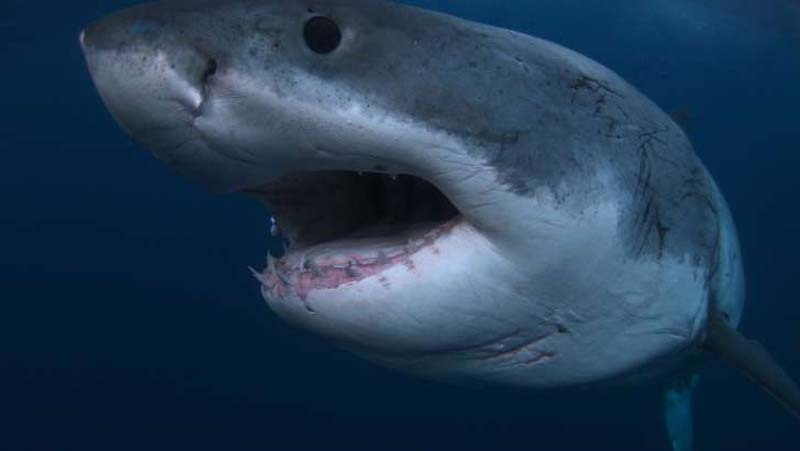 A total of 10 shark-themed shows aired that year over the course of the inaugural Shark Week, which was an immediate hit. The channel’s ratings nearly doubled their normal primetime average. 3. IT’S GOT A LOT OF CELEBRITY FANS. 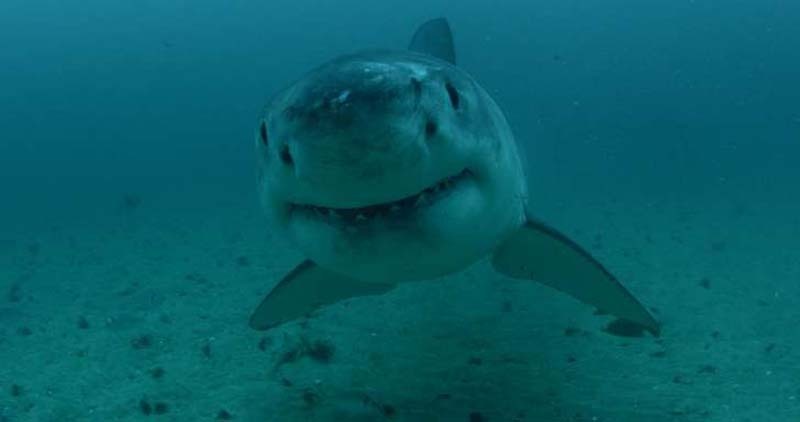 Shark Week has become a highly anticipated television obsession for viewers around the world, including more than a few A-list names. Tracy Morgan’s character, Tracy Jordan, famously advised Kenneth the Page to “live every week like it’s Shark Week.” In 2010, Stephen Colbert Shark Week “one of the two holiest of holidays.” Over the years, several other celebrities have their love of Shark Week. 4. PETER BENCHLEY WAS ITS FIRST HOST. In 1994, an emcee was added to the Shark Week proceedings. Appropriately, author Peter Benchley—whose beloved novel was celebrating its 20th anniversary—became the first-ever host of Shark Week. In the years since, stars Adam Savage and Jamie Hyneman, Dirty Jobs host Mike Rowe, comedian/late night host Craig Ferguson, former SNL star Andy Samberg, and modern master of horror Eli Roth (writer-director of and ) have all filled the role. 5. SHARK WEEK WENT LIVE IN 1999. 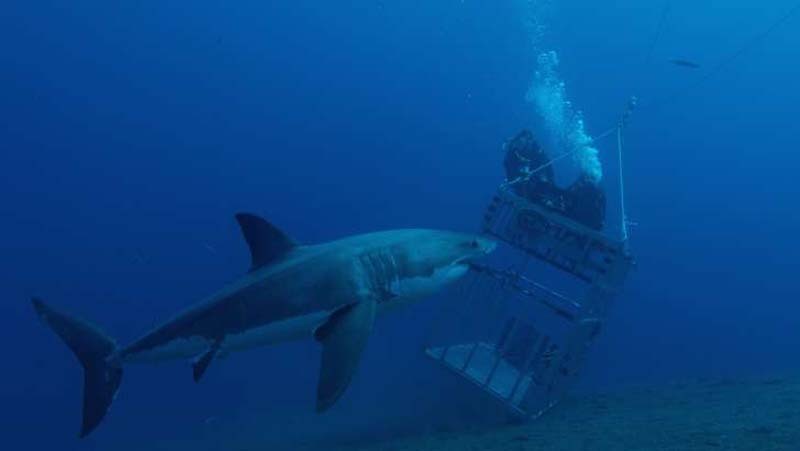 In 1999, journalist Forrest Sawyer took Shark Week fans on a live underwater excursion of the Bikini Atoll, with camerawork courtesy of award-winning underwater cinematographer Al Giddings (The Abyss, Titanic), for a two-hour special titled Live from a Shark Cage. 6. IT MADE SCIENTIFIC HISTORY. In 2001, Shark Week premiered Air Jaws: Sharks of South Africa. The program captured the first-ever footage of great white sharks jumping out of the water, in some cases launching themselves as high as 15 feet in the air. New installments have been a staple of Shark Week programming ever since. 7. IT HOLDS A CABLE TELEVISION RECORD. In 2010, Shark Week became the cable television programming event—and it shows no signs of slowing down. 8. IT’S NOT JUST ABOUT ENTERTAINMENT; IT’S ABOUT CONSERVATION, TOO. Though shark attacks make for dramatic headlines, the University of Florida that in 2017 there were just 88 unprovoked shark attacks around the world, only five of which proved fatal. Yet more than were killed as a result of industrial fishing—an issue that hits home with Discovery executives. While Shark Week is meant to both entertain and educate viewers, Discovery Channel also runs a number of PSAs throughout the week to help raise awareness about the dangers facing today’s sharks, and encourage viewers to make their voices heard. For 2018, according to a press release, "Discovery Channel is encouraging all fans and shark enthusiasts to share their passion and insight about sharks online—including the issues our finned friends face. The Shark Week Instagram will feature top shark scientists, filmmakers, and advocates, who will connect with fans through photo and video takeovers to highlight their work in the field and provide a platform for the shark conservationist message." 9. ONE YOUNG FAN MADE A BIG DIFFERENCE. In 2014, —a 9-year-old Shark Week fanatic from Massachusetts—was so moved by a special on the declining shark population that he wrote a letter to his local representative, David M. Nangle, asking him to help put an end to shark finning. Nangle agreed with Lesniak's stance and pushed a bill forward to ban the trade of shark fins in Massachusetts. On July 24, 2014, then-governor Deval Patrick the bill into law. 10. SHARK WEEK 2018 WILL BE THE BIGGEST EVENT YET. To celebrate its milestone 30th year, this year's Shark Week will be its biggest ever—with more than 20 hours of exclusive programming featuring shark experts, celebrity fans, and plenty of biting surprises.